Hold on to your hats, folks, Mary Kubica has done it again! I’m late to jump on the bandwagon but now that I’m here, I’m all in. Heidi is a good person. She spends her life helping people in the hopes of making the world a better place. So when she sees a young lady and her baby on the street in the rain she has a difficult time letting it go. Heidi can’t stop thinking about helping these two young people to the point of obsession. When she decides to bring them home with her, her husband objects profusely. Heidi’s obsession starts to affect not only her family but her own mental state. 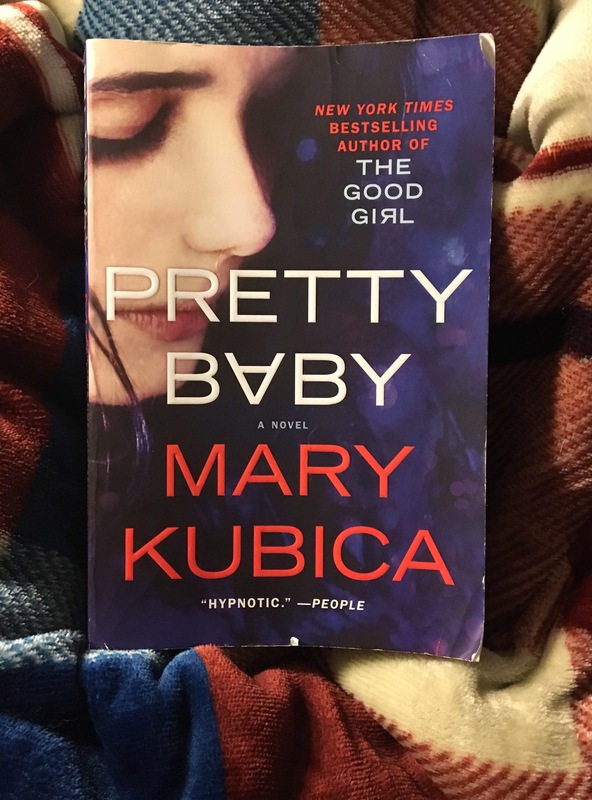 At 379 pages, Pretty Baby had me white-knuckling my paperback copy on the regular. It took me 4 days to finish this thrilling novel. I give Pretty Baby 4 out of 5 for it’s chilling characters. I highly recommend this book! Please comment with your thoughts on this book.